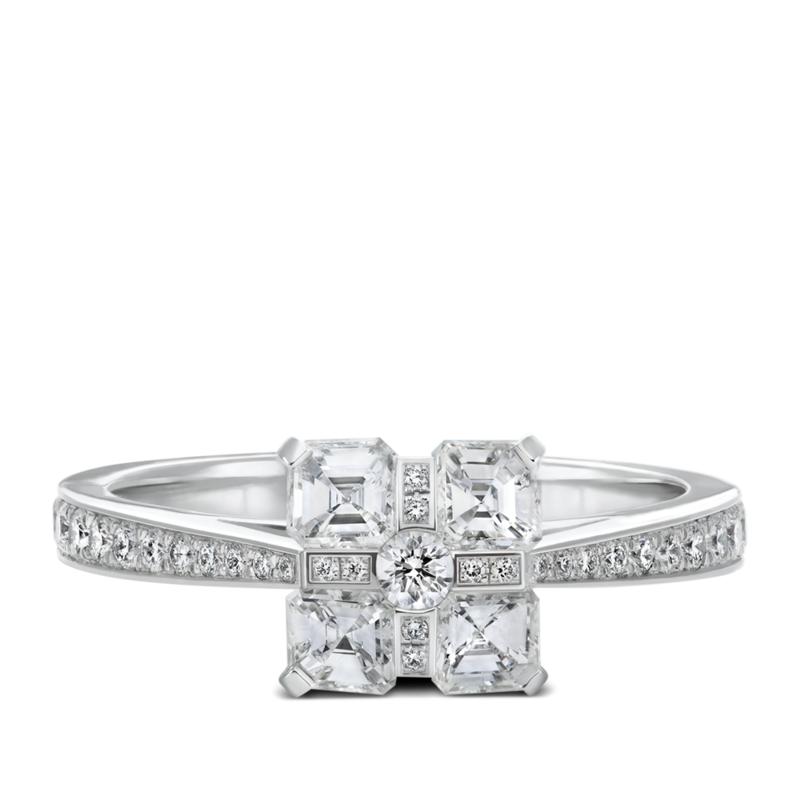 This design blends the straight lines of asscher diamonds with the brilliance of round diamonds. This fun, feminine design, is meticulously hand-crafted to be a statement piece. Approx. 1ctw of asscher diamonds, 0.10ct round brilliant diamond and 0.50ctw of diamond melee. *Price is for the whole ring. 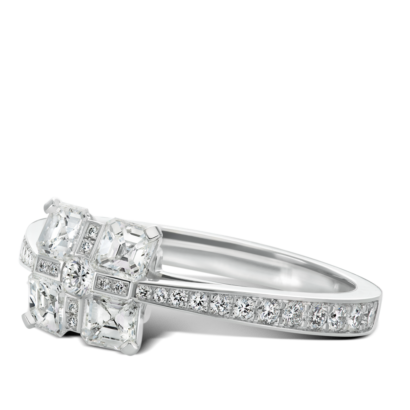 Price subject to change according to ring size and total carat weight.